- single column distillation or double pot still distillation may be used but almost all producers use single column distillation. - must be double-distilled in pot stills. - single column distillation or double pot still distillation may be used but almost all producers use single column distillation for Domfrontais calvados. The use of a blend of these four types of apple ensures an aromatic and balanced calvados. Pear juice may also be added to the apple juice and the varieties of pear which may be used are also controlled under the AOC rules. There are two types of orchard in the calvados region, those growing tall 'high stem' or standard apple trees and those with short 'low stem' trees. The short trees produce a larger crop but require more fertiliser and care. Tall varieties are considered by many to produce superior apples but newly planted trees take some 15 years before they start to crop apples. Fermentation lasts from one to three months, producing a dry cider with an alcoholic strength of at least 4.5% alc./vol. Every calvados producer is by definition a cider producer and it is common for producers to also bottle and sell cider. 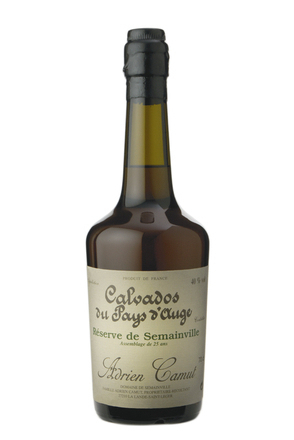 Calvados must be aged in oak casks for a minimum of two years although most good calvados will be aged for several years and some for 20 years or more. Maturation takes place in 250 to 400 litre oak casks or in oak vats as large as 10,000 litres. Spirit aged in cask and vat may be blended together. Aging in wood colours the spirit, turning it from clear to golden, then mahogany and eventually deep brown. 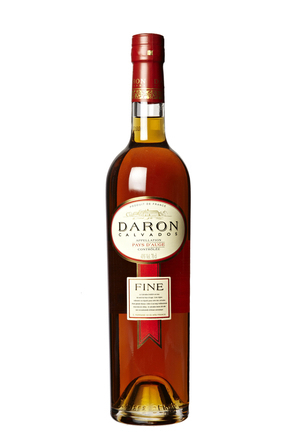 As the colour develops so does its character with the cask imparting flavours such as vanilla, butterscotch, nut and chocolate. Generally, different batches are blended to produce a consistent product, although some distillers offer vintage bottlings from a single barrel. After blending, calvados is bottled at between 40 and 45% alc./vol.. 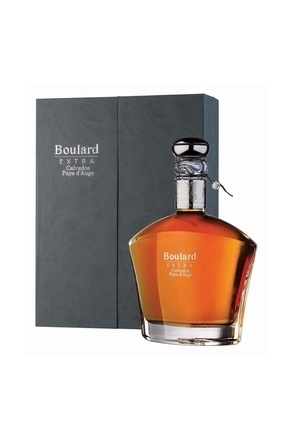 Most producers also blend the spirit with water to reach this strength, but some old calvados is bottled without hydration with bottling strength arrived at after the alcohol has evaporated naturally as it ages. 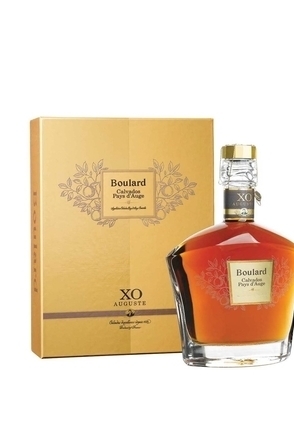 The age stated on a bottle is that of the youngest brandy in the blend and quality calvados will include spirit that is much older than this in the blend. For the purposes of calculating age, a calvados is deemed to have been born on the 30th September following its distillation (in winter or early spring) and must be at least two years old. 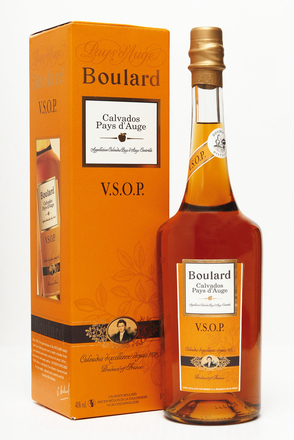 A stated vintage - some calvados are bottled from distillate produced in a single year rather than a blend of years. In this case the label usually states that year. 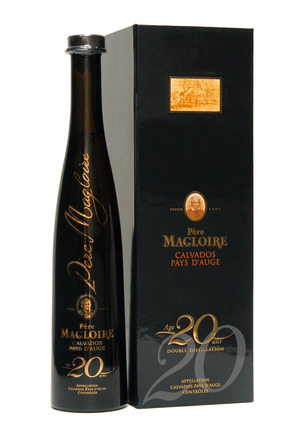 Also check the bottling date as calvados does not continue to age once bottled. 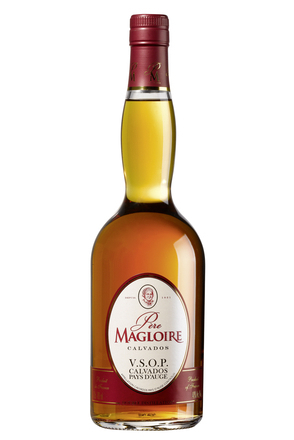 Compte d'Age - is a term which accompanies age statements on non-vintage calvados and refers to the youngest brandy in the bottle. In the 1960s there were 15,000 calvados producers with most farmers in the region distilling cider from their own orchards to make cider. By the millennium the number of producers had dropped to around 1,000 and today there are only some 300 producers left. The majority of the smaller producers have given way to larger corporations. 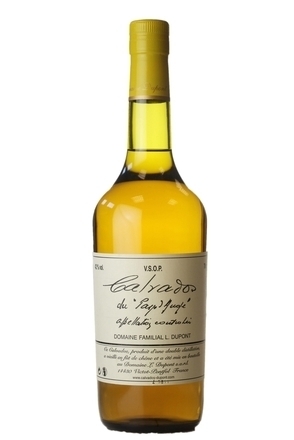 However, some small producers survive and the term 'Produit Fermier' or 'Production Fermière' (farm made) on a bottle indicates that all the fruit used in the calvados was grown on the same estate where it was distilled and aged. 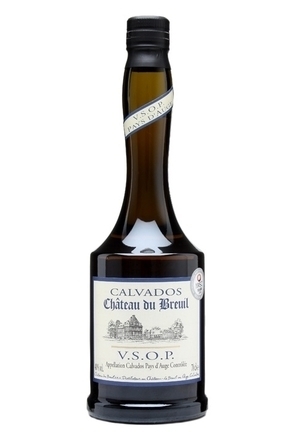 Calvados is often packaged in a bottle with a wax sealed stopper. To open, simply tap around the wax with the blunt edge of a heavy knife at a point where you estimate the top of the bottle meets the bottom of the stopper. The wax is hard and brittle and will chip away easily. Guard your eyes from flying shards. Traditionally served after a meal with a dessert such as a tarte tatin. Calvados is also great with cheese particularly the four Normandy AOC cheeses: (creamy) Camembert de Normandie, (pungent) Orange Livarot, (creamy) Neufchâtel and (golden) Pont-l'Évîque. 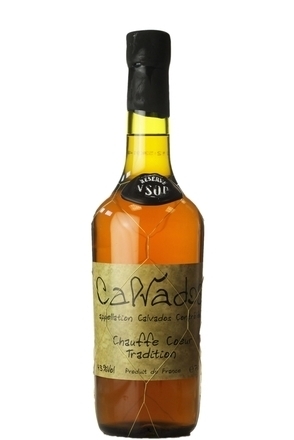 Young calvados, particularly fruit Domfrontais calvados, served on ice, or with soda or tonic water makes a great aperitif. Although viewed as a traditional, you should not serve calvados in a snifter (brandy balloon) glass as this shape of glass accentuates harsh spirit aromas. Instead use a tulip-shaped glass or small wine glass. 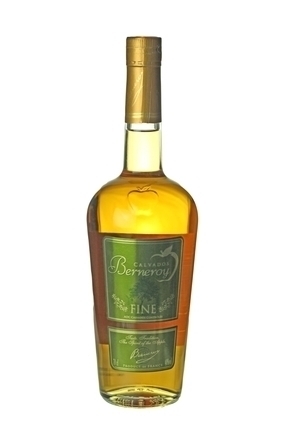 Young calvados should have fresh fruit aromas reminiscent of apples and pears. 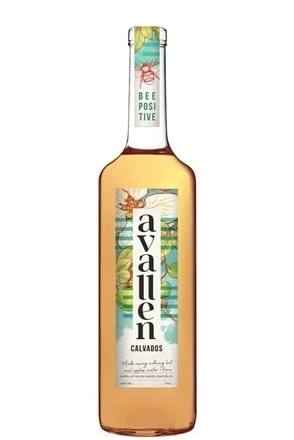 As calvados is aged so the distinctive apple fruit character becomes more subdued and the flavour becomes more reminiscent of other aged brandies.